Try capturing a photo of this busy fellow. He’s far from mellow, this fine little fellow. Say hello, say hey, lay on this pillow, but no bow will you sow captured by photo. 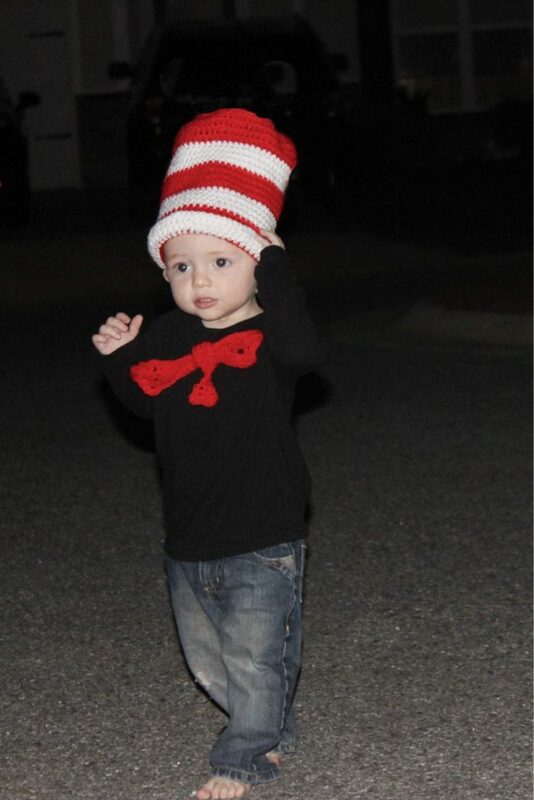 I’m no Dr. Seuss but this little Cat in the Hat I chased around after dark is sure a cute one. 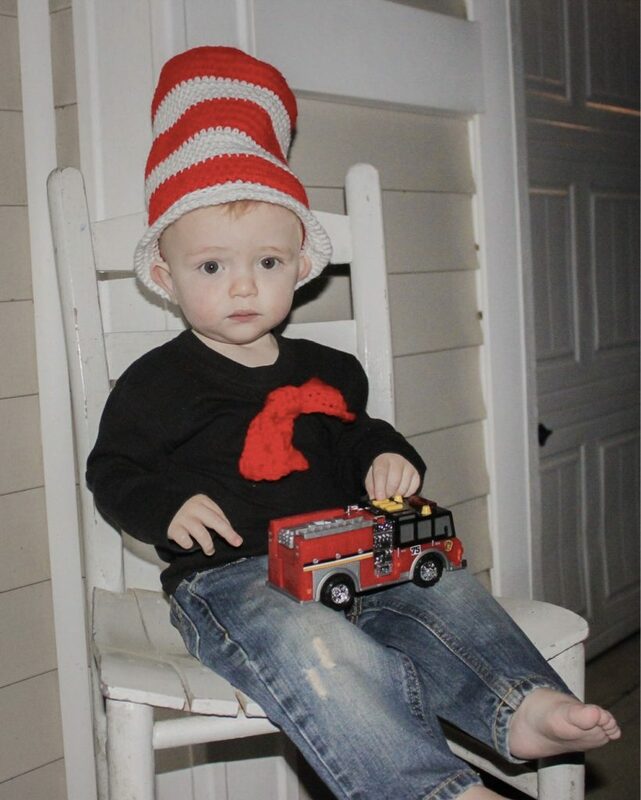 Dress up your wee one with this free crochet pattern. 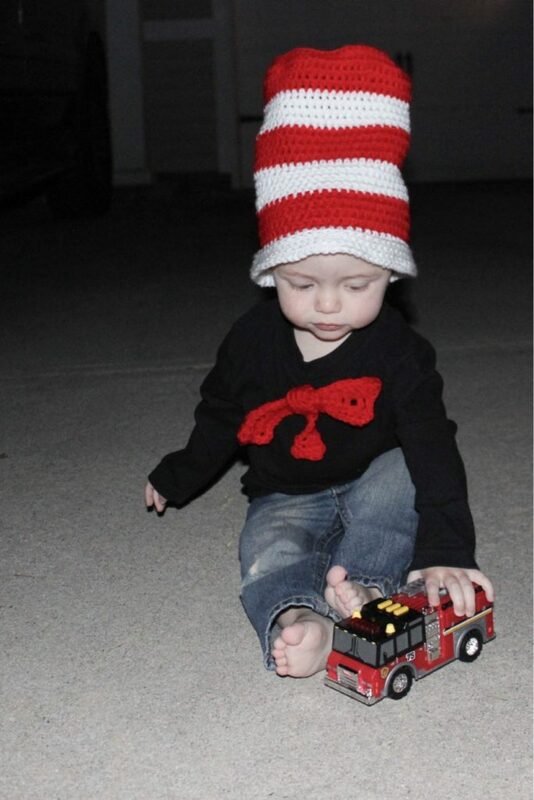 You may link in this way: Dr Seuss Inspired Hat & Bow Crochet Pattern by Hannah at brightsideis.com.